As the kilometres mount up, Syria is fast approaching in our Summer Charity challenge - led by Mr Ibison and Year 6. Please consider donating if you have not already done so. The following article in the Visiter provides background to this worthwhile venture. 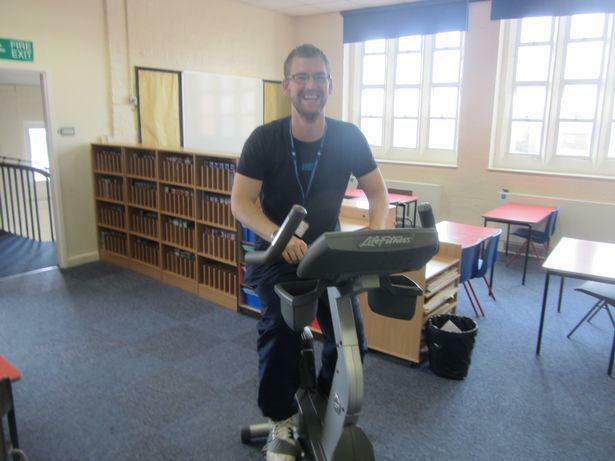 Staff and pupils at a primary school in Southport are travelling thousands of miles to raising money for desperate families caught in the Syria crisis - by running, cycling, hopping and skipping. Adults and kids at Holy Trinity Primary School are aiming to travel the 4627km distance between Southport and Aleppo to help raise money and awareness for those affected by civil war. Due to the crisis, more than 11 million people have been forced from their homes, some 650,000 are still trapped in besieged areas and millions need food, water and medical care. Donations will help provide food, support hospitals, repair water systems and help schools stay open. The fundraising effort is being led by Year Six teacher, Sean Ibison, who came up with the idea over the Christmas period as he reflected on those in unfortunate and desperate situations. He hopes that the event will help raise more awareness about the crisis whilst also promoting a healthy lifestyle for the local community. As well as inspiring pupils to help those in need, it has also seen them become more active - one girl in his class bought some rollerskates to use, while another pupil has bought their first ever bike. Pupils have now been on bike rides and walks round the local area, taken part in a School Sports Week and collected kilometres on the journeys to and from school. 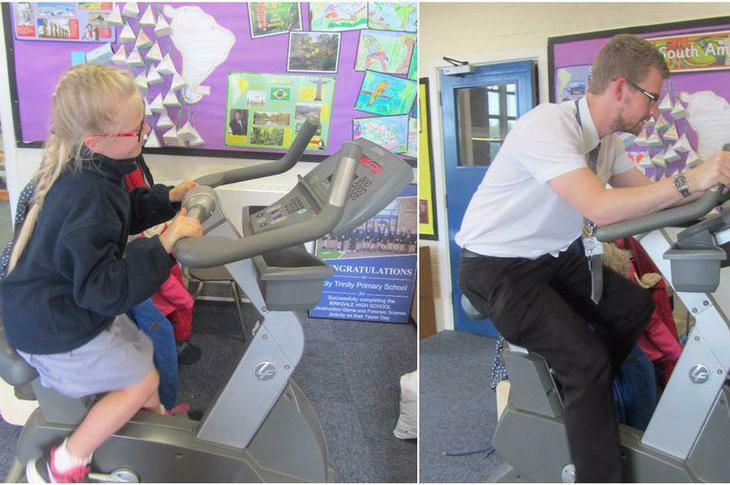 Victoria Leisure Centre also kindly lent the school an exercise bike for pupils and teachers to use at the school. Sean, a former Our Ladies of Lourdes and Christ the King pupil, said: “I asked the school to ‘cycle’ - I use the word loosely - to Syria." “The distance from our school to Aleppo is 4627km and I wanted our school to make that virtual journey by cycling, walking, running, hopping, skipping and jumping - basically by any means they can. "Children and staff have been keeping track of how many times they have walked/cycled/scooted etc. to school and we have totalled the kilometres from each class every week. “I set my Y6 class a target of 500km and they smashed that in a week! The distance from our school to Aleppo is 4627km and I want our school to make that virtual journey by cycling, walking, running, hopping, skipping and jumping - basically by any means they can. "Pupils and staff have been keeping track of how many times they have walked/cycled/scooted etc. to school and we have totalled the kilometres from each class every week. After a huge effort, the school has already completed well more than half of that epic journey. “We are now well over 700km and as a school we are over the 3000km mark and are roughly in Montenegro on our virtual journey. "All pupils and staff have been getting into the event and it has helped raise awareness about the Syrian crisis and also a healthy lifestyle. “We are fundraising for Save the Children’s Syria campaign and anybody who would like to donate either money or kilometres can contact the school office.